Though the race isn't a stakes race, it drew three stakes winners likely preparing for bigger things this fall. ELMONT, N.Y. – There is no stakes race Sunday at Belmont Park, but the multi-conditioned allowance sprint feature drew three stakes winners likely preparing for bigger and better things later this fall. My Boy Tate won two New York-bred stakes as part of a five-race winning streak that ran from August 2017 through Feb 19. Deemed in need of a break following his victory in the Hollie Hughes during the winter, My Boy Tate returned in the Tale of the Cat on Aug. 10 at Saratoga, where he was beaten two lengths by Always Sunshine. 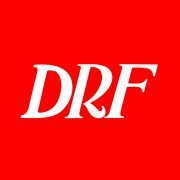 “I thought he ran great off a big break, I thought he put out a really good effort,” said Michelle Nevin, trainer and part owner of My Boy Tate along with Little Red Feather Racing. My Boy Tate will be making his first start over the Belmont Park main track. He did show an affinity for it Sept. 6, when he breezed a half-mile in 46.96 seconds, the fastest of 30 moves at the distance. The fast work was uncharacteristic for a Nevin trainee. My Boy Tate, who looks like the primary speed in the five-horse field, will break from post 2 under Manny Franco. True Timber is not among the stakes winners in this field, but he certainly ran the best race of his career on June 10 when he won a second-level allowance here by 1 1/4 lengths. He ran seven furlongs in 1:21.92 and earned a career-best Beyer Speed Figure of 102. Trainer Kiaran McLaughlin said True Timber sustained a cut in a leg during the summer, which is why he hasn’t raced in three months. Celtic Chaos, like My Boy Tate a multiple New York-bred stakes winner, is coming off an allowance win at Saratoga against statebreds. Celtic Chaos, My Boy Tate, and Caledonian (a statebred with a pair of open-company stakes wins), could be preparing for the $150,000 Hudson for New York-breds on Oct. 20 or the Grade 3, $200,000 Bold Ruler Handicap on Oct 27. Eight Town, winless in four starts this year, completes the field. ◗ His last three Beyers are higher than anyone’s in the field with the exception of True Timber’s 102 figure achieved in June. ◗ Has been effective from on or off the pace but is likely to be the main speed in here. “He can sit off a horse, I don’t have to really worry about that,” Nevin said. ◗ Ran the best race of his career last time out in his 14th start, overcoming a stumbling beginning to win a second-level allowance. ◗ Patternrecognition, second in that June 10 allowance, came back to win his next start at Saratoga with a 100 Beyer.